We were approached in 2017 to assist with the development of this back land opportunity in Croydon. 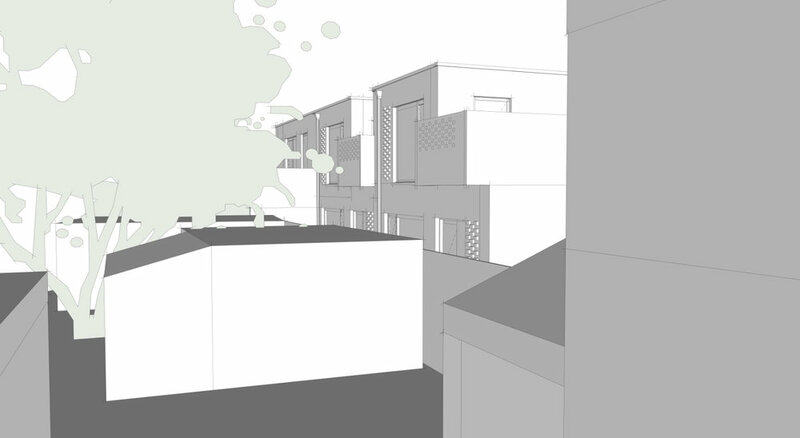 Capitalising on a cramped, badly developed space, after a fraught planning process we successfully achieved planning permission to convert a shop into two flats and build a large mews to the rear of the property. The proposed scheme offers a high quality living opportunity, with each house and studio exceeding the minimum London Plan requirements. Carefully positioned balconies give private amenity space to each property whilst ensuring the privacy of the neighbours or future owners in not compromised.